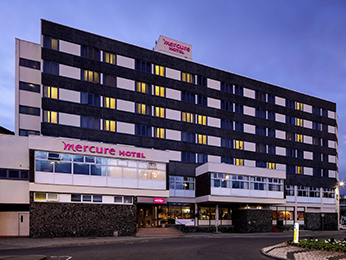 Ayr truly has something for everyone, so make the most of your visit by taking your pick from our selection of hotels in Ayr. From the historic Culzean Castle or Robert Burns Birthplace Museum to the Heads of Ayr Farm Park, there's something to appeal to every group or family that comes to visit. The town's importance was realised as early as 1205 when it was established as a royal burgh, playing the role of a central harbour, which it remained for several hundred years. A Citadel sits on the southern banks of the River Ayr, built by Oliver Cromwell at some point during the 17th Century. Perhaps of most local importance is the fact that Ayr was the birthplace of renowned Scottish poet Robert Burns. Sports fans will also appreciate Ayr's racecourse, Prestwick Golf Club and Somerset Park football stadium. For theatre lovers, the Gaiety Theatre is a famous landmark that has traditionally attracted performers from around the UK and still draws audiences to this day. Glasgow Prestwick International Airport is located just 2 miles north of Ayr and the town has ample rail and ferry access, making it easily accessible. Booking a hotel in Ayr with AccorHotels couldn't be easier. Simply browse our selection of hotels below and choose one that best suits your needs. Booking online with AccorHotels offers a host of benefits, including our Best Price Guarantee and last minute and real-time room availability.